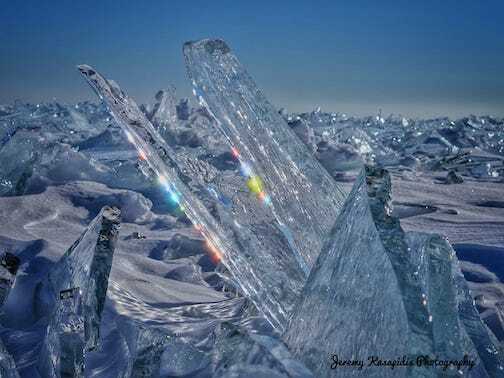 The last of the ice by Jeremy Church. 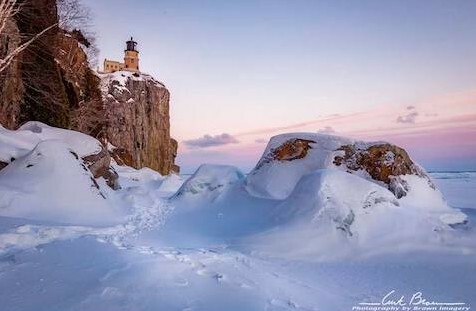 Things are pretty quiet on the North Shore these days, as everyone, and everything, patiently waits for all the snow to melt and spring to arrive. But it’s still beautiful here. And warm. Meanwhile, there’s lots of art to see and great music opportunities, as well as some fun events. 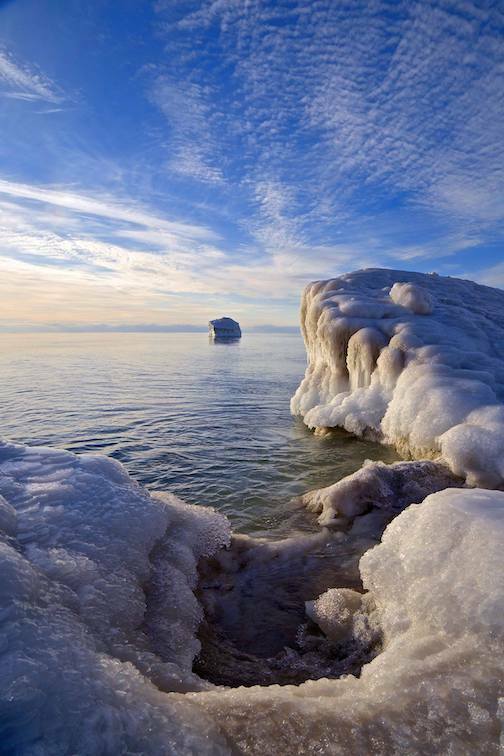 First up is a presentation Sharon Mahon of Three Irish Girls Photography at Cook County Higher Education from 5:30-7:30 p.m. on Thursday, March 28. Sharon McMahon will give an inspirational talk at Cook County Higher Education at 5:30 p.m. on Thursday. 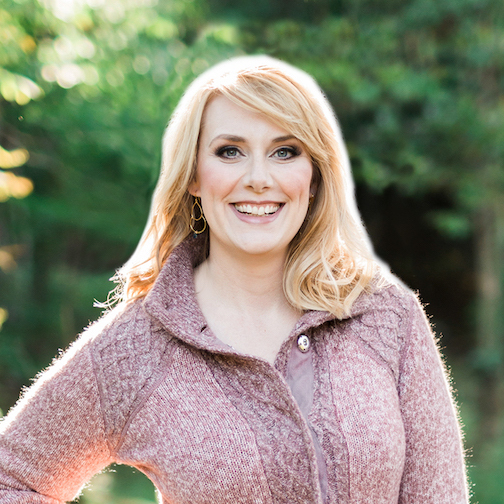 The title of her presentation is “The Zig Zag Life,” and she will talk about how she was a happy high school teacher until knitting found her and she slowly built “Three Irish Girls,’ a yarn hand-dyeing company. It was a great success and she traveled extensively giving workshops and presentations and she wrote a popular knitting blog. Then, in 2013 she sold her yarn company to be come a full-time photographer. This “zig-zag life”has been totally rewarding, she says, and she’ll talk about how to get there. Cost is $20. All invited. On Friday, tune into The Roadhouse on WTIP Community Radio when musicians Colleen Myhre and Tony Petersen will talk about their lives and play a few songs. The Roadhouse airs from 5-7 p.m.
Colleen Myhre and Tony Peterson will be interviewed on WTIP’s The Roadhouse on Friday. The duo is performing at the Gun Flint Tavern this weekend. On Saturday, it’s Family Fun Night at the Summit Chalet on Lutsen Mountains featuring Magic by Chaz, kids music with the Okee Dokee Brothers, art project and face painting as well as a pizza party and fireworks. The fun starts at 5:30 p.m. Tickets are available at theL Lutsen Mountain tickets office: $30 adults, $15 or kids 6-12. And on Monday, the second in the three-part series on how to use herbs in the kitchen will be held at North House Folk School starting at 7 p.m. 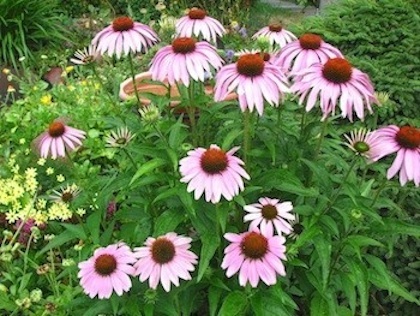 This week’s session will focus on the savory: herbal salts, dipping oils, compound butters and marinades. For more information and to register, call North House at 218 387-9762. 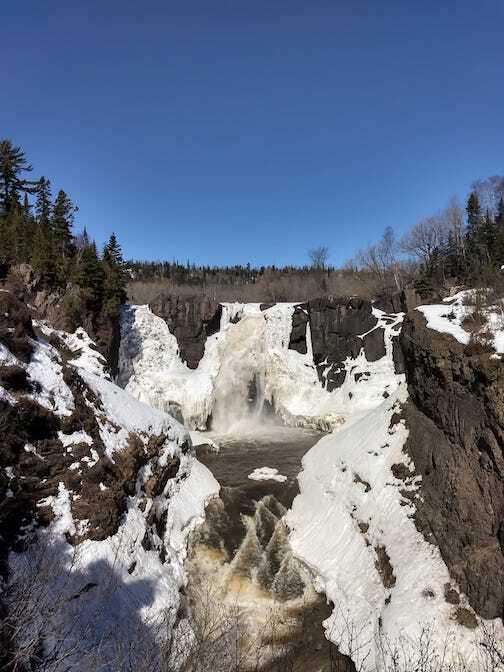 In Two Harbors, the Two Harbors Voyageur Art Club will open it’s annual spring exhibition, “Spring Fever,” at the Cedar Coffee Company in Two Harbors April 1. “Spring on the St. Croix River” by Sandi Pillsbury is one of the paintings that will be on exhibit at the Cedar Coffee Co. in Two Harbors April 1. The opening reception is April 5. The opening reception will be at the Cedar Coffee Co. from 5:30-7:30 p.m. on Friday, April 5. The exhibit continues through April 30. “Thin Places: Encountering the Surprising Spirit on the North Shore” continues at the Johnson Heritage Post through April 7. The community art show, organized by the Spirit of the Wilderness Church, features a wide variety of work by artists of every age, including a great showing of work by the art students at ISD 166. This piece by ISD 166 student Ole Sorenson is in the Thin Places exhibit at the Johnson Heritage Post. Community members and local artists also are exhibiting in this show, which is wonderfully eclectic. 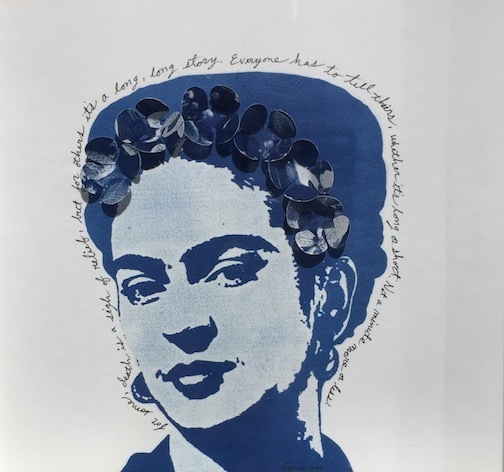 “Blue Frida” by Janae Lee is also in the exhibit at the Johnson Heritage Post. The Heritage Post is open from 10 a.m. to 4 p.m. Thursday through Saturday and 1-4 p.m. Sunday. 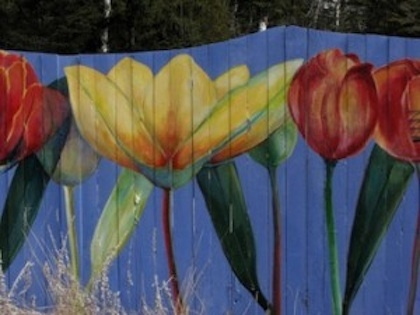 A take on “Tulips,” by glass artist Dale Chihuly, is one of the pieces at Tettegouche State Park. 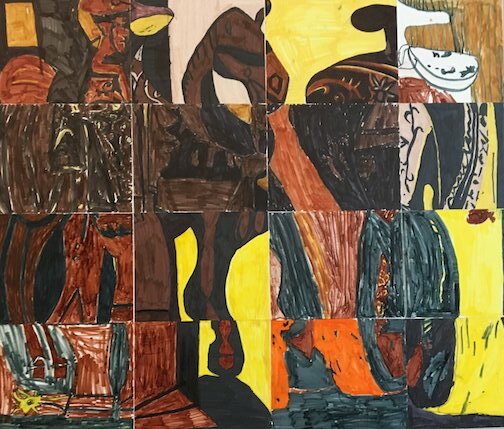 Megan Brewdeson was inspired by Pablo Picasso’s Matador and Picador in this piece. 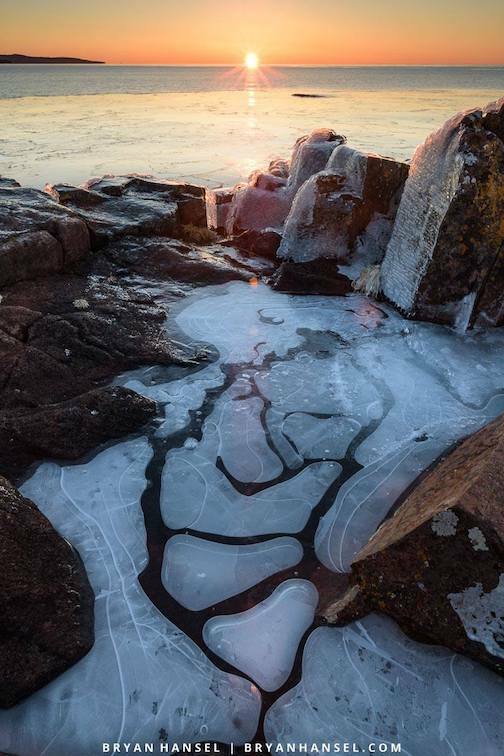 In Duluth, the Tweed Museum of Art is featuring a number of exhibits, including “Space: Time & Place,” an exhibition of photographs from its collection. 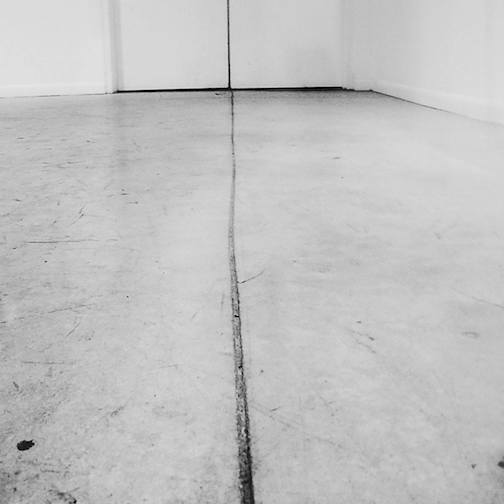 The exhibition demonstrates numerous ways in which photographic artists represent space in their imagery and how such compositions influence the viewer to become invested in and moved by the image. 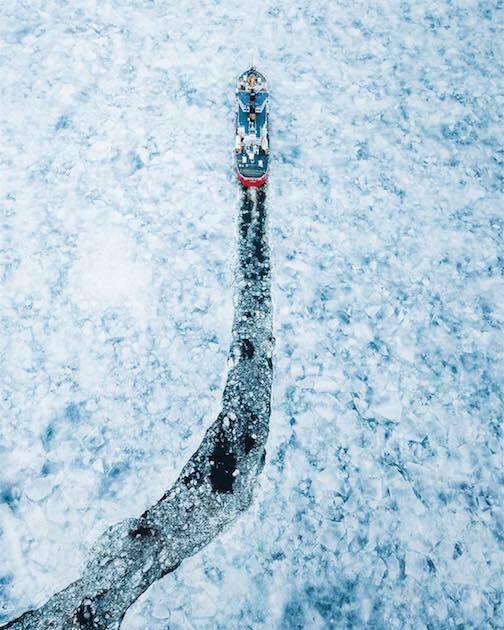 Untitled (The Walker floor, detail), photograph by Tim White. The exhibit continues through April. 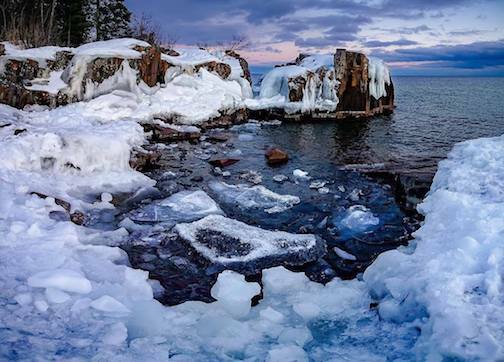 The Duluth Art Institute just opened a new photography exhibit, too. Entitled “Emerging Photographers,” it highlights the work of young regional photographers. 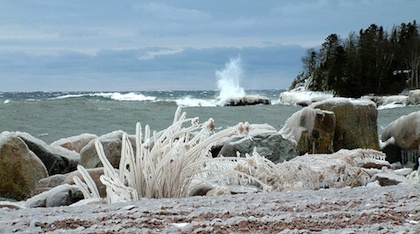 “Patterns in Decay” series, photographs by Stevie Twining is on exhibit at the Duluth Art Institute. The exhibit continues through May. 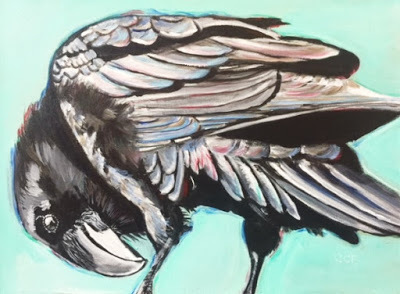 The Zeitgeist Arts Cafe just opened a new exhibit of paintings by Christie Carter Eliason, who creates whimsical and amusing portraits of animals. Meditation by Christie Carter Eliason, is one of the animal portraits currently on view at the Zeitgeist Arts Cafe in Duluth. Photo by Ed Newman. 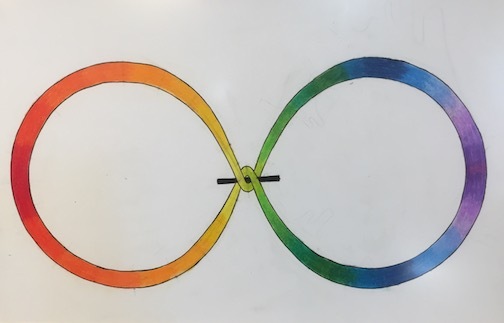 In Thunder Bay, the Thunder Bay Art Gallery is exhibiting work by Hammerskjold High School, Grade 9 and 10 students in the Indigenous Cultural Program for First Nation, Métis, and Inuit students, from across Northern Ontario. 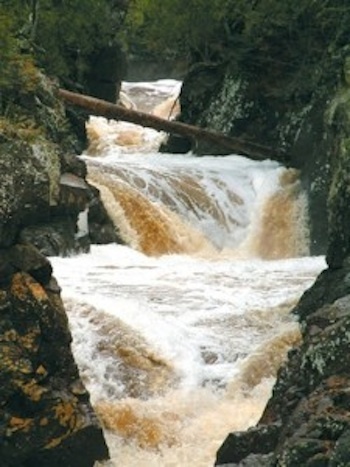 The exhibit is entitled: Nibi iwe bimaadiziwin: Water is Life. 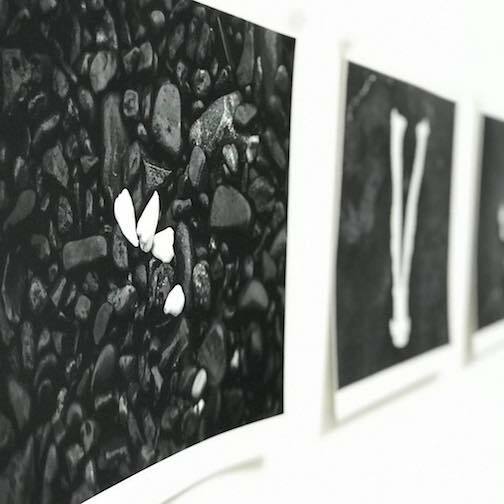 A student exhibit focusing on water is currently at the Thunder Bay Art Gallery. The exhibit continues through March 31. The gallery is also showing a number of works by art students from Lakehead University. 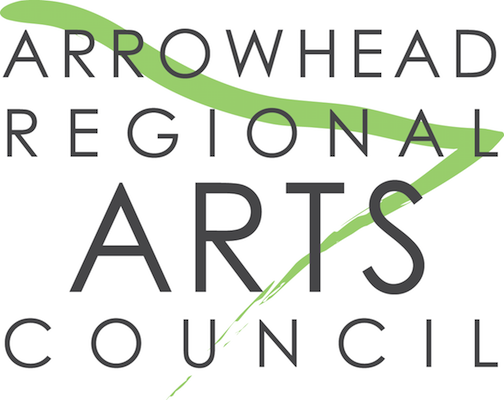 There are programing/grant changes on tap for the Arrowhead Regional Art Council. 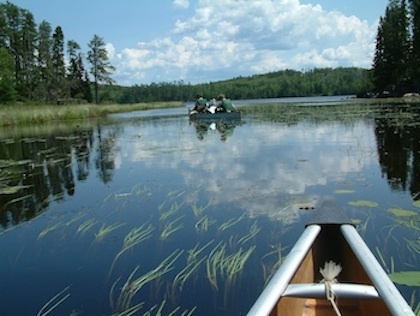 ARAC will hold a public meeting on its draft plan for the next two years in the Ordean Building in Duluth at 5:30 p.m. on Wednesday, April 3. All artists and community members are invited. On the agenda will be discussions about the proposed new grants and how ARAC has developed its proposals based on the values of its funders, artists and community members. In the draft plan, a few grants which have been a mainstay in ARAC’s programs will be discontinued. They include the Career Development Grant, the Technology/Equipment Grant, the Fellowship Grant and the Quick Start Grant. The Distinguished Regional Artist Grant Program that will provide larger project grants to working professional artists. A new Project Grant for Artists that will provide up to $4000 for artist projects. A new Arts and Cultural Heritage Program that provides money for arts activities with both community significance and authenticity to the community. An Arts Ecosystem Grant for projects that help networks of artists. New simplified small grants, including a Working Artist Professional Development Grant, an Educational Opportunity Grant and an Emergency Needs and Equipment Grant. 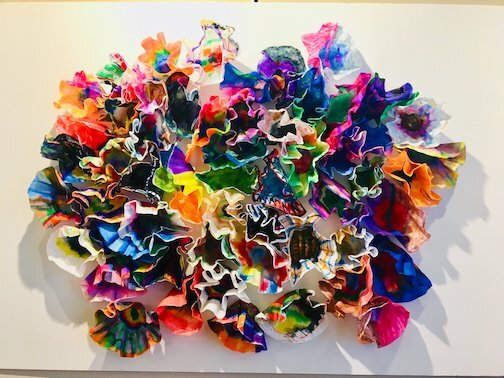 A Public Art Project Grant for the fiscal year 2021. A Business of Art workshop series. Details of the draft plan will be available on Friday, March 30. Click here and then on News for more information. All are invited to the meeting April 3 to learn more and discuss these changes. 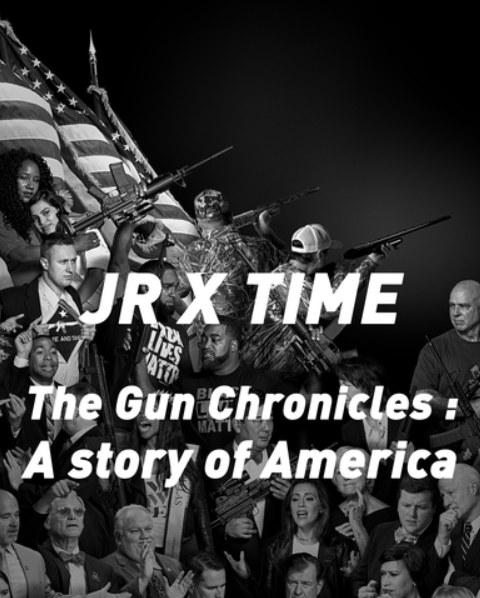 An interactive multi-media exhibit entitled “The Gun Chronicles: A Story of America” by mural artist JR, will be on exhibit at the Johnson Heritage Post April 5-7. 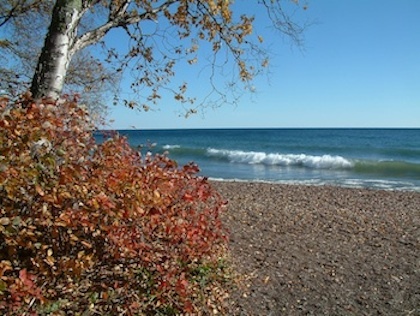 The exhibit will be held in collaboration with the Grand Marais Public Library. It opens at 4 p.m. April 5. Stay tuned for details. The Gun Chronicles: A Story of America is a pop-up multi-media project that opens at the Johnson Heritage Post at 4 p.m. Friday, April 5. The 10th Fingerstyle Masters Weekend will be held at Cascade Lodge April 19-20 featuring Phil Heywood, Randy Sabien & Gordon Thorne. 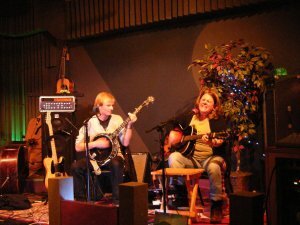 They will hold a pub session on Friday, April 19, at 7:30 p.m., guitar and fiddle workshops on Saturday and a concert on Saturday night. Stay tuned. For more info on the workshops, contact Gordon Thorne at 218 353-7308 or email him at oman4@live.com. 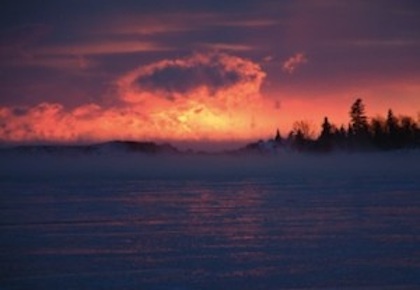 Matt Kania will be teaching an oil painting workshop at the Duluth Art Institute. He is calling the workshop “Oil Painting: Accordions Alla Prima.” The first session is April 11. Matt Kania will teach an painting workshop using the Alla Prima technique. In collaboration with The World of Accordions Museum in Superior, Wis., the first class will feature a live model, local accordion player Ruth Maciejeski. She will play the accordion while the class focuses on capturing the shapes and movements through oil sketches and photographs. 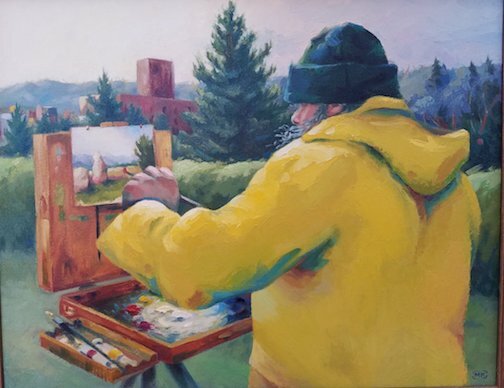 The following 2 class sessions you will be working from the oil sketches and photographs you captured on the first day to complete a large oil painting alla prima style. Funding will support a series of events featuring Samite, a world-renowned flutist, singer, and kalimba, marimba, and litungu player. 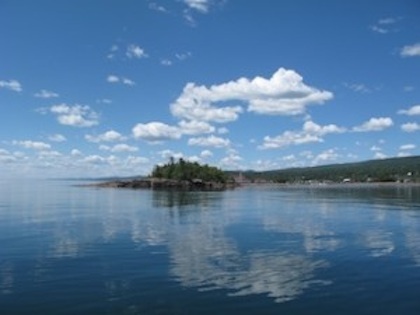 Grant funding will support the North Shore Community Pour, an interactive, learning experience in cast metal sculpture for 2019 Grand Marais Arts Festival attendees. 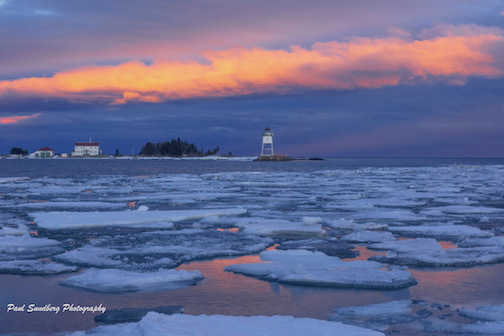 Grant award will support the community development, planning, creation, and staging of the Summer Solstice Pageant in Grand Marais. Funding will support the recording of twelve songs with producer Al Oikari. Funding will be used to create a three-song demo of original compositions that will be used to gain feedback from other musicians and to promote the artist. 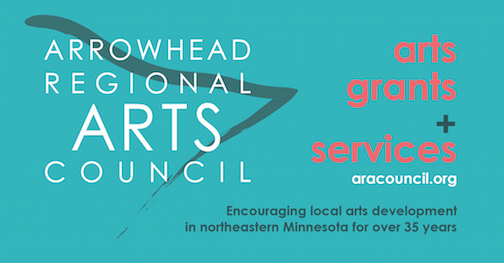 Click on the image below to learn more about the Arrowhead Regional Arts Council. Joe Paulik, Gun Flint Tavern, 6:30 p.m.
Rod Dockan, Voyageur Brewing, 4 p.m.
Joshua Schmidt, Wunderbar, 7 p.m.
Collen Myhre and Tony Peterson, Gun Flint Tavern, 8 p.m.
Northeast Timberland Band, Bluefin Grille, 8 p.m.
Gordon Thorne, North Shore Winery, 3 p.m.
Eric Frost, Papa Charlie’s, 3:30 p.m.
North Country Fair, Cascade Restaurant and Pub, 5 p.m. The Grace Notes, The Cove at Superior Inn, 5 p.m.
Joe Paulik, Wunderbar, 7 p.m.
Colleen Myhre and Tony Peterson, Gun Flint Tavern, 8 p.m.
Erik Koskinen,(2 sets) Papa Charlie’s, 9:30 p.m.
Briand Morrison, Moguls’ Grille and Tap Room, 10 a.m.
Joshua Schmidt, North Shore Winery, 3 p.m.
Hobo Nephews of Uncle Frank, Papa Charlie’s, 3:30 p.m.
Open Stage with Joe Paulik, Wunderbar, 6 p.m.
Open Mic with Bump Blomberg, Papa Charlie’s, 8 p.m.
Jam Session, Gun Flint Tavern, 7 p.m.
We found some interesting photos this week — wildlife, for sure, and lots of broken ice photos. Where’s lunch? 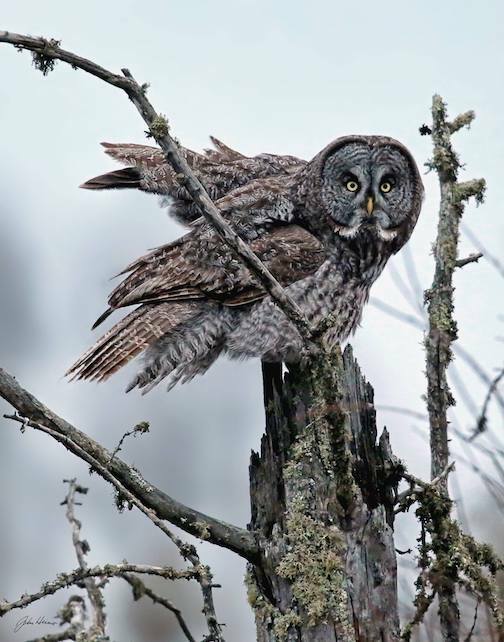 Great Gray Owl on the prowl by John Heino. 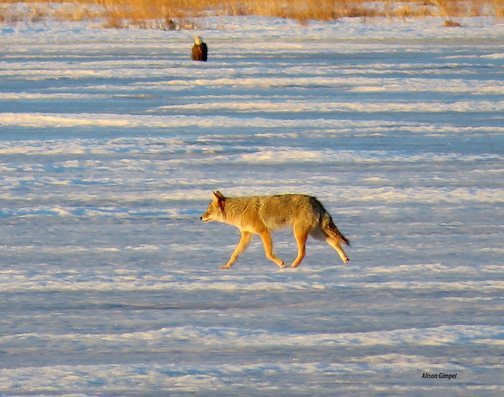 A lucky catch–a coyote and a Bald Eagle on the ice by Allison Gimpel. 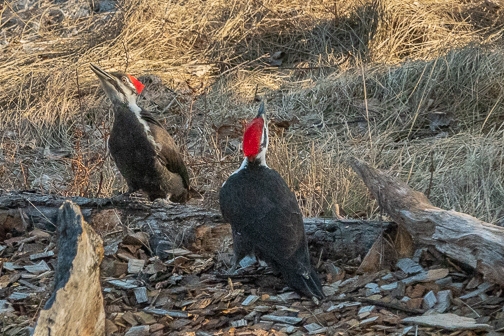 Spring Dance by Janice Latz. 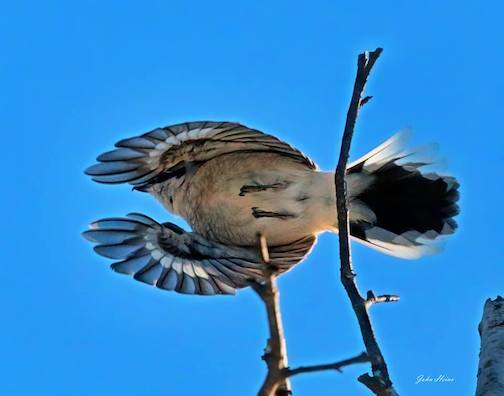 Northern Shrike at Gooseberry Falls by John Heino. 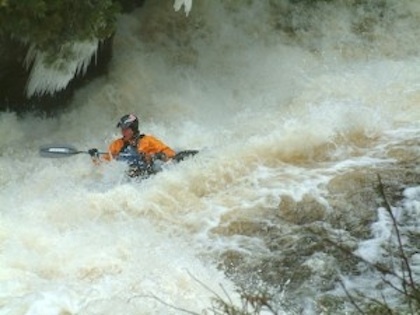 So, for reference, this was taken only two weeks ago. 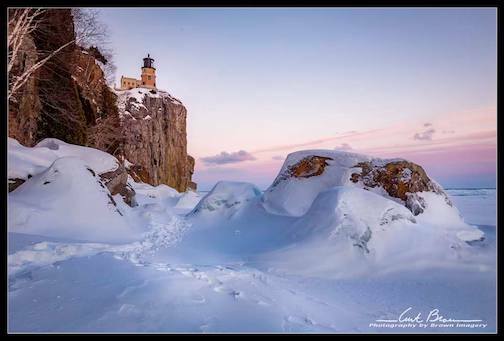 Split Rock Lighthouse only two weeks ago by Curt Brown. Action today (March 24) by Jon Wood. March 18 by Jeremy Kasapidis. Sunrise from Artist’s Point by Bryan Hansel. 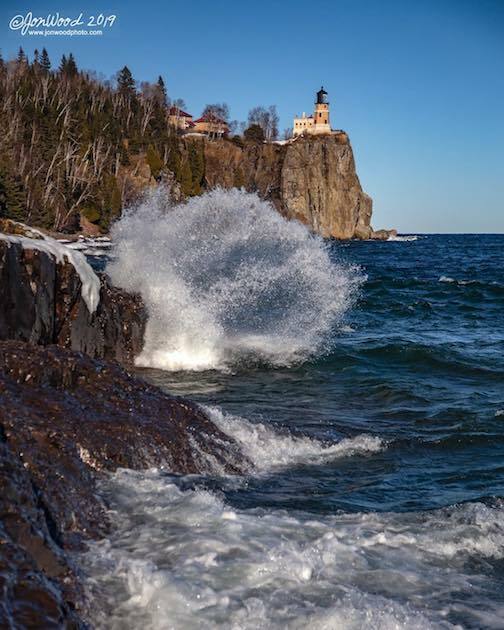 North Shore Fairy Tale Action by Abby Tofte. 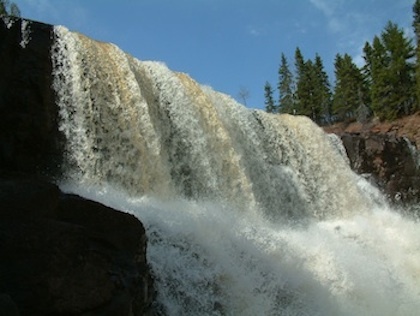 High Falls at Grand Portag by Chelsea Pucs. 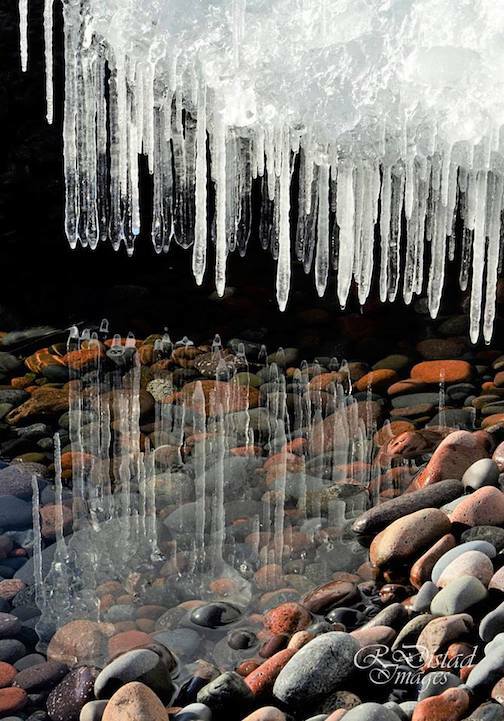 Icicle Reflections by Roxanne Distad. 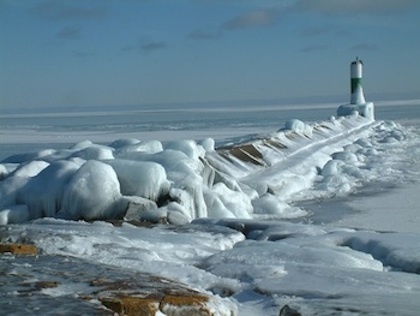 The USCG Mackinaw arrives in Duluth. 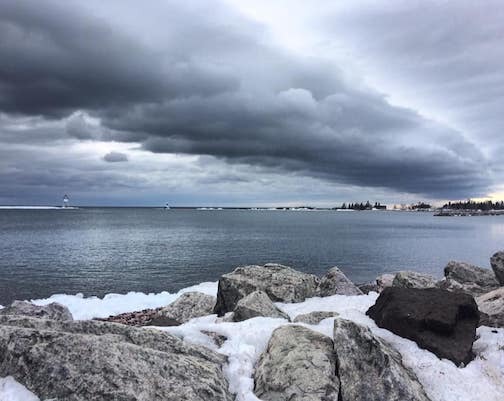 Grand Marais Harbor by Sierra Parsons. 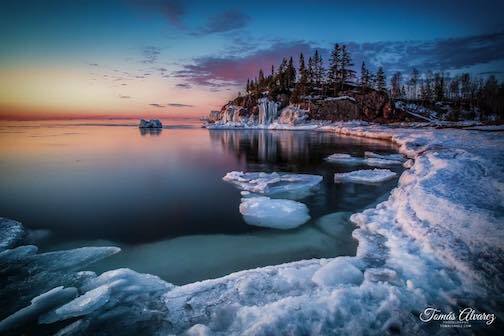 The water is open in Silver Bay by Thomas Alvarez. Happy March-goes-out-like-a-lamb, everyone! Have a good weekend. Did you enjoy NorthShore ArtScene this week? Consider making a donation today. It’s easy. Just click on the button below. And Thank You!